The 2019-20 school year will see many revisions to credit opportunities, said director of counselling Betsy Jones. A major change is the elimination of teachers assistants, something that Jones does not foresee ever returning as an option, which is currently a popular course request with 250 teacher assistants at RBHS, according to Jones. Jones said the original purpose of a teacher’s assistant was to alleviate growing class sizes when the school district cut teachers and also to provide students who need to fulfill Missouri State High School Activities Association (MSHAA) requirements an opportunity to fill a course slot with relatively lax responsibilities. For next year, Jones said teachers who still want teacher assistants can offer an independent study; however, it would provide no credit. Junior James Glaser currently serves as a teachers assistant to physics teacher Malcolm Smith. Glaser believes he’s apart of the handful of students that did a good job in carrying out the designated duties of an assistant. After a semester of assisting experience, Glaser understands where students could take advantage of the system and used the time not for its intended purpose; however, he still disagrees with the decision to eliminate the option altogether. Junior Sarah Keely is also a teacher’s assistant. Unlike Glaser, she agrees with Jones that the program is flawed and should go. So far, Keely said her teacher has not given her much responsibility, so she generally uses the time as an AUT. 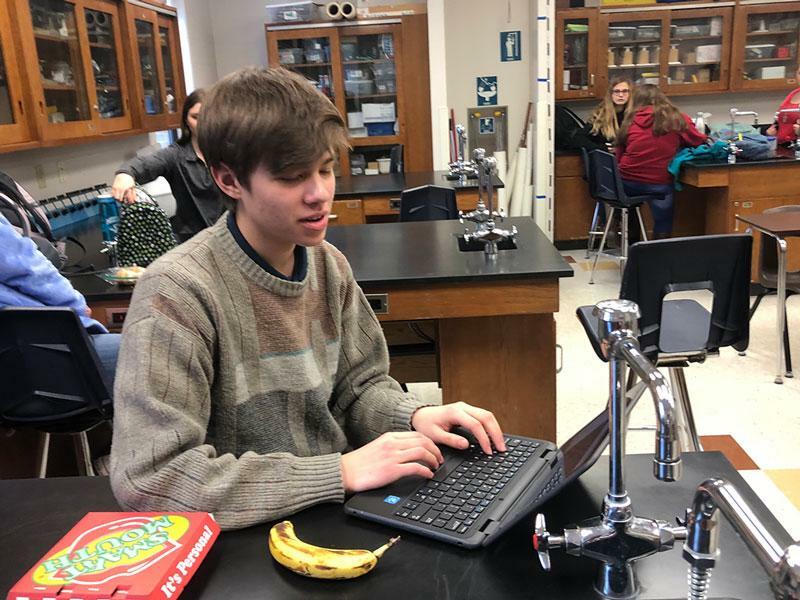 “I haven’t had much to do, [but] my main responsibility has been putting graded work in the grade book on schoology and on paper,” Keely said. Jones said the program also presents safety liability issues such as if the student goes off campus during the time. While these are all concerns, Jones said the bottom line is most teacher assistants don’t deserve the credit. I thought the teacher assistant position sounded interesting, but it is true that the credit isn’t well deserved. The TA position is similar to an AUT except for the fact of grading papers. I have no opinion on the removal as I can see both sides of the argument. I do think that there are some students using a TA blocks as AUT, but many that are actually being helpful to the teachers. I believe that removing the credit attached to TA blocks will remove the incentive to be a TA. I think, while I personally don’t have an opinion on it, that it’s good then there is a substitute for this kind of teacher aid – advisory mentors. These people will probably be better suited for the job since they must be interviewed for the position. I had no idea that students could be teacher assistants! I might try it out when I’m older!